A fully private dining room with a modern atmosphere. This unique space is embellished with metallics, warm-earth tones, and natural wood, and can seat up to 16 guests at an over-sized square table. A projector and drop down screen are available with advance notice at an additional charge. Located adjacent to the main bar and the patio, this unique space provides guests with the option for an indoor/outdoor event space and top-notch views of our 3-Story, illuminated Wine Tower! Over-sized nautical chandeliers hang from above while natural wood tables frame the reception space. Guests can watch as our in-house Sushi Chef creates fresh rolls at our Raw Bar. A semi-private space located on the second floor Mezzanine Level which can accommodate a maximum of 45 guests between 3 long tables. This space is tucked away between the Pacific & Atlantic Private Dining Rooms and is away from general foot traffic and our kitchen. Our second floor Mezzanine Level can seat a maximum of 180 guests for dinner. This stunning dining space is adorned with wall-to-wall windows, providing exceptional views of the Historic Gaslamp Quarter, while our 3-Story, illuminated Wine Tower peaks interest as the focal point of the restaurant. This space can be booked exclusively for groups of any size or in partial offering semi-private space for your group. Celebrate your special day at Osetra Seafood & Steak. Private dining rooms and delicious craft cocktails provide everything you need to create a festive and memorable evening. Ring in the Holiday Cheer! With fully private and semi-private space for groups of 10 to 300. Custom dinner menus are available, which include your company logo. 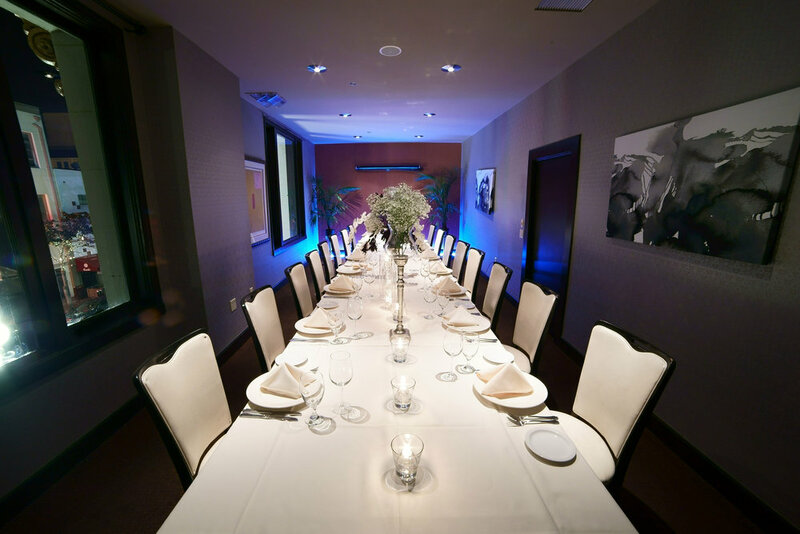 Osetra is the perfect venue for your rehearsal dinner needs. With space overlooking the Gaslamp Quarter, you are sure to find the perfect dining space for your pre-wedding gathering. We have great dining spaces for your next business dinner event. 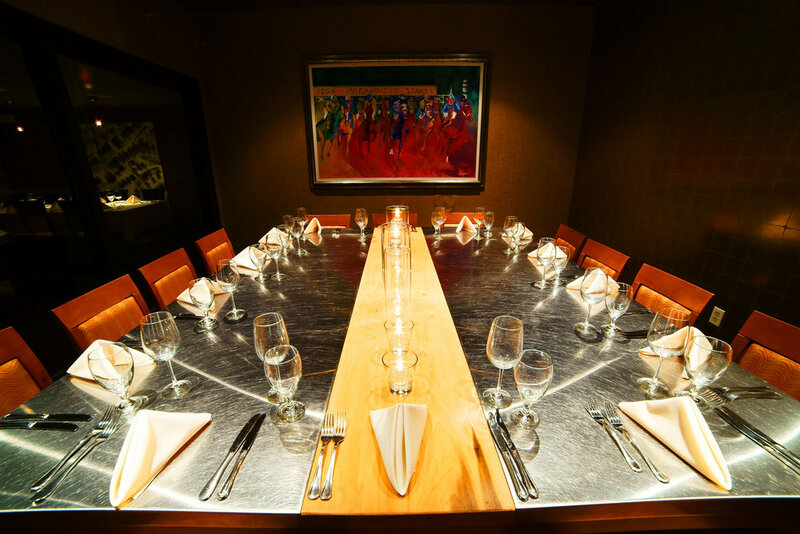 Our private dining rooms, which can seat up to 30 guests include complimentary use of a drop down screen. Thank you for choosing Osetra Seafood & Steaks for your dining reservation! We look forward to having you!